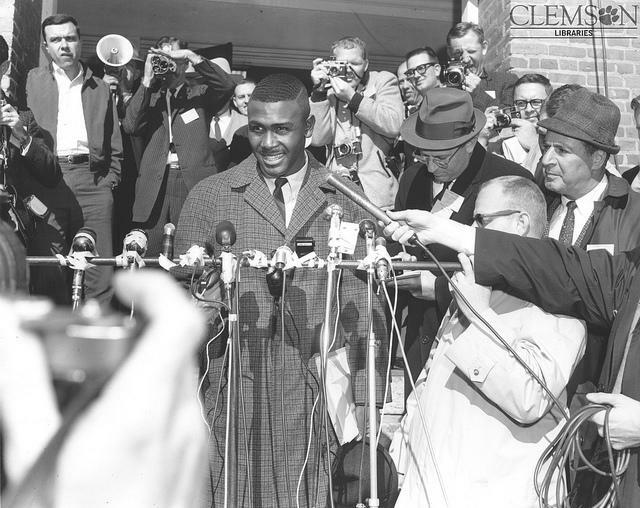 Harvey Gantt stands on the steps of Sikes Hall on the day he entered Clemson University, Jan. 28, 1963. Harvey Gantt registers for classes at Clemson University. 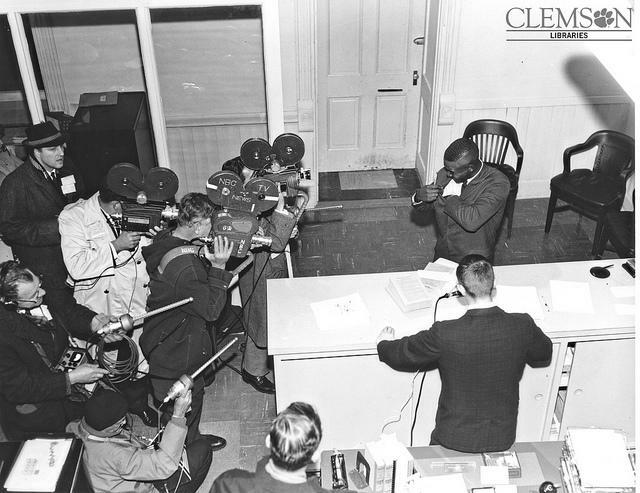 Harvey Gantt, outside the Registrar's office. Tommy Tomlinson talks with Harvey Gantt. On this episode of SouthBound we talk to Harvey Gantt, who has spent his whole life pushing against the boundaries of the South. When he was still a high-school student, he organized a sit-in at a department store. 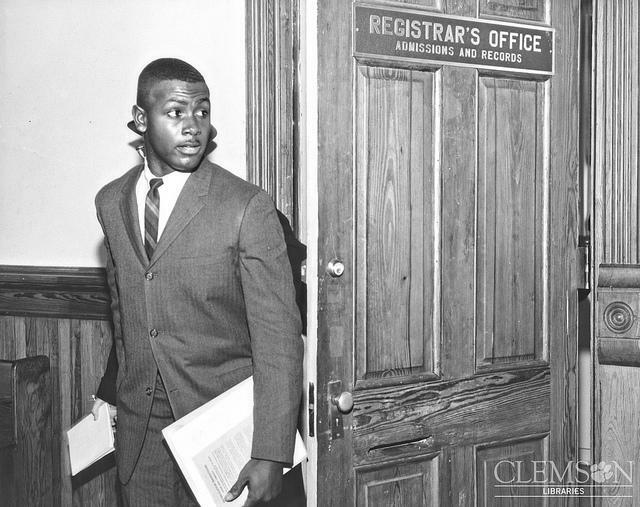 He became the first black student at Clemson University, and the first black mayor of Charlotte. He lost two bruising elections for the U.S. Senate to Jesse Helms. And during nearly all that time, he was a working architect, designing homes, office buildings and public spaces that helped shape Charlotte and other cities. Not many people have changed the South the way Harvey Gantt has. WFAE’s new podcast, SouthBound, aims to engage in conversations with people who reveal how the region shapes who they are and what they do. It debuts Nov. 15. Host Tommy Tomlinson’s first guest is Harvey Gantt. He was Charlotte’s first African-American mayor when he served two terms in the 1980s. He then had memorable campaigns against U.S. Senator Jesse Helms. He talks about all that in his conversation with Tommy.